Whether going between fields or exploring Southern California, rental cars and/or vans are a must. Make sure to mention USA Premier Baseball to receive the best arrangements and pricing – schedule early to make sure you have a VAN available! State Van Rental – Lowest van pricing and great selection – we use them for our own team travel needs. They are by the LAX Airport; however they can make arrangements for delivery. (888) 315-6888 (toll-free), (310) 641-7000 (local), Open 7 Days a Week, Office Hrs 8:00 AM – 9:00 PM Pacific Standard Time – http://www.statevan.com Mention USA Premier Baseball for special discounts. Stop Then Go Auto Rental – Great value, no extra charge for those under 25 years old! Stop Then Go Auto Rental is a low-cost alternative for all your car rental needs and conveniently located by John Wayne Airport (SNA). Offer a large selection of cars, trucks, passenger vans, and S.U.V.’s, and free shuttle service. Honor ATM cards and cash deposits, and unlike any other companies, do NOT charge extra you if you are under 25! Low rates, reliable cars, and the best customer service! For reservations, call toll free at (888) 704-STOP – http://stopthengo.com Mention USA Premier Baseball for special discounts. ART is the premier transportation resource for locals, visitors and Anaheim Convention Center meeting attendees. 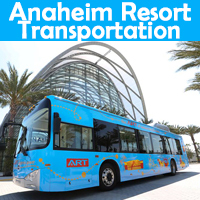 With 21 routes and a fleet of electric, natural gas and zero emission buses, ART offers an inexpensive, green and convenient service to 72 Orange County hotels, several unique dining, shopping and entertainment venues. Connect the dots to OC’s hot spots with ART. www.rideart.org.